Turn around. Look behind once in a while. Did you ever see a squirrel or a deer cross a road in front of a car? Yeah, they do that. And you know what? They cross behind you, too. The same thing happens when you hike in a park. Every once in a while you’ll see a deer, or a squirrel, or a fox jump out on the trail ahead of you. Every once in a while they do the same thing behind you. If you hike in an area often enough, you’ll learn that they cross those trails in the same places time and time again. It’s like the highway signs that warn of deer crossing. Those signs aren’t random. Deer repeatedly use those areas. Animals, like people, are creatures of habit. Deer wander close to edges, where woods and meadows meet, so they often can be spotted near park entrances, along creeks, or along hiking paths. If you’re hiking along a maintained trail, keep an eye out on the forest floor for subtle pathways where plants appear to be pushed down or trampled. Sometimes those are trails blazed by people, but often they are animal trails. Remember those spots, because animals frequently use the same trails repeatedly. It’s like fishing. If you catch a big fish, return to that spot in the future. There’s a reason that fish was there – maybe food, maybe shelter, maybe both. The same thing is going on in the woods. Animals return to the places that provide food, shelter and safe passage. If you like taking photos of wildlife, then remember where you see the animals and return to those places with camera in hand. Study the weather when you hike. Meteorological conditions can impact wildlife. There are times on a walk in the woods you won’t hear a single bird singing or see any animal movement of any kind. There are other times when every bird in the neighborhood seems to be visiting your feeder, every animal in the woods is in motion, and every fish in the lake is feeding. Consider what the atmospheric conditions are when wildlife is active – sunlight, temperature, cloud cover, barometer, frontal passages, wind speed and direction, and even moon phase. Return when there are similar conditions, and there will be a good chance wildlife will be active again. 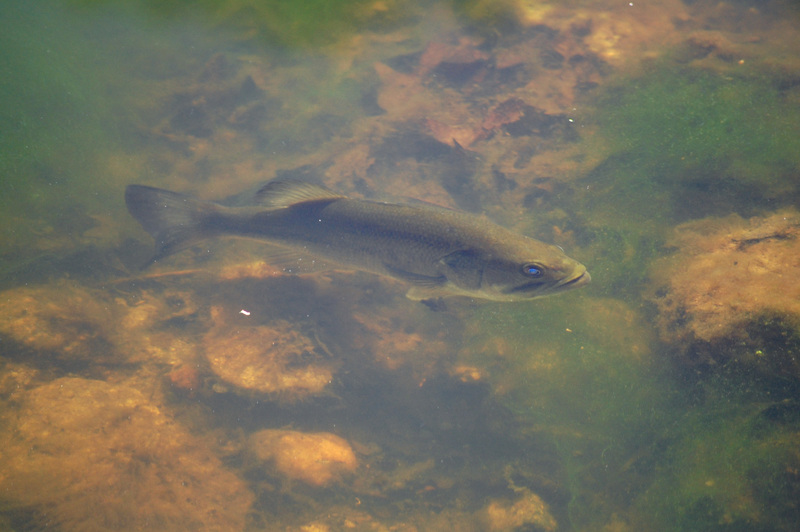 For example, largemouth bass usually spawn on a new or full moon in spring on the north or northwest banks of a lake where the sun shines longest and when rising water temperatures reach the high 50s to mid 60s. Walk along shorelines under those conditions and look in the shallows for round, white circles where the fish have cleared their beds. Look closely and you’ll see bass circling those beds. Those same areas will draw bluegills in to spawn next when the water temperature rises a few more degrees. You can count on that happening year after year under the same meteorological conditions. Nature is like that. The more you observe, the more fascinating and predictable it becomes. The best hiking/wildlife day I’ve had in Fairfax parks came during fall a couple of years ago. During an early morning, 45-minute walk at Lake Mercer I spied raptors, fox outside a den, antlered bucks giving their equivalent of high-fives along the water’s edge, a box turtle and countless serenading birds. It was a quiet, calm, cool morning after several consecutive days of steady, calm weather. Spring walks produce choruses of frogs and wildflowers in predictable places as wet, warming conditions repeat year after year. Atmospheric conditions also can help you predict when wildlife is not active. Consider Washington summers, when temperatures boil into the 90s and days get so hot that not even the air wants to move. Not much wildlife in motion then, either. So when you head out for a hike in a park this summer, take along this shampoo theory. Lather, rinse, repeat for consistent good hair. On your next hike, enjoy, look, listen and learn. Repeat for consistently good experiences. And increase your odds of seeing wildlife by occasionally turning around and looking back. Author Dave Ochs is the manager of stewardship communications for the Fairfax County Park Authority’s Resource Management Division. 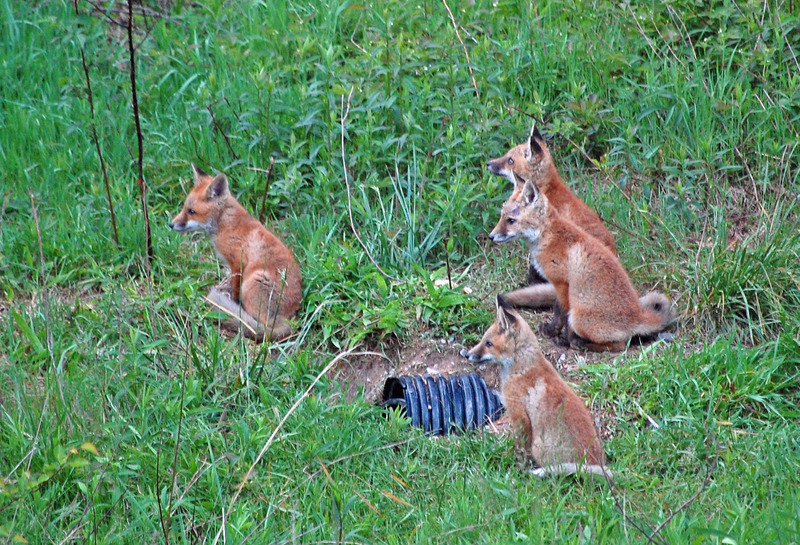 This entry was posted in Uncategorized and tagged Fox, Hiking, Lake Mercer, Stewardship, Wildlife on May 15, 2014 by Fairfax County Park Authority.